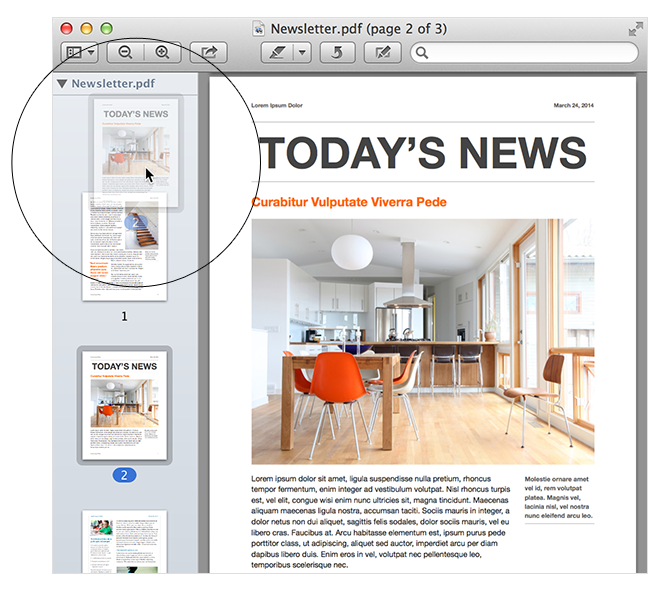 If you need to re-order the pages in a PDF, you can drag and drop the thumbnails of each page in the sidebar of the Preview window. Select the thumbnails of the pages you want to move within the document. You can press the Shift key or the Command key while clicking each page thumbnail to select multiple pages. Drag your selection up or down through the sidebar until you find the location where you want the pages to appear. Release the pointer to insert the pages into the new location. To remove a page, select its thumbnail, then choose Edit > Delete or press the Delete key on your keyboard. If the pages you've inserted are the wrong orientation, you can rotate them to match the current document. Navigate to the page that needs to be rotated, or select its thumbnail from the Preview sidebar. 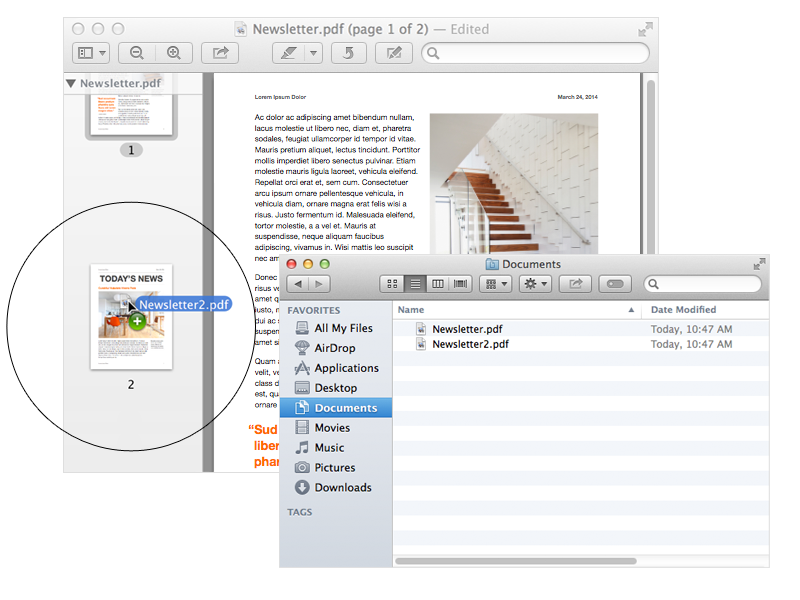 To rotate multiple pages at once, press the Shift key or the Command key while selecting each page thumbnail. Choose Tools > Rotate Left or Tools > Rotate Right. You can also use the Rotate tool in the Toolbar at the top of the Preview window. Additional information about this topic is available from Preview Help. 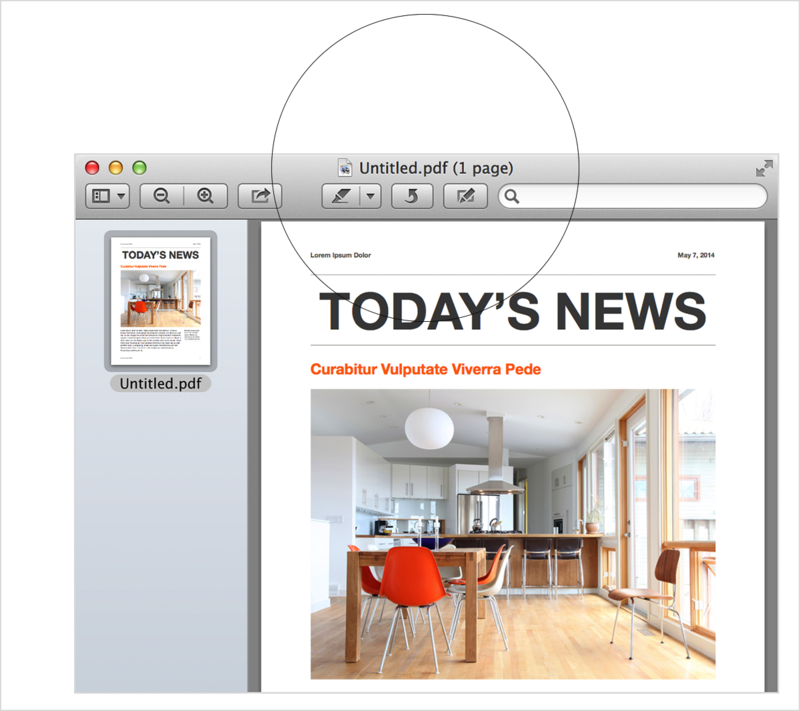 Use the Help menu to search for phrases like "Combine PDFs" and "Add, delete, or move pages in a PDF".